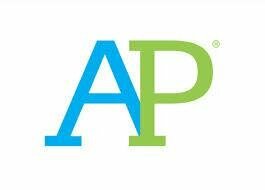 Students who would like to take AP exams in May need to sign up in the school counseling office by March 22nd. You do not have to take an AP class to sign up to take an AP exam. Students may take one FREE AP exam in science, math or technology areas (STEM). Students who qualify for Free or Reduced Lunch may take one exam for FREE and other exams at a reduced cost. Exams are $94 each. There are many academic and economic benefits of taking AP exams in high school. Not only does the AP experience help to prepare you for college courses, but if you pass an AP exam, you can show colleges that you are ready for college-level work. In addition, many colleges accept certain passing scores (Exams are scored on a scale of 1 to 5. Most colleges grant credit for a score of 4 or 5. Some college grant credit for a 3) on some AP exams for college credit, which means that you can enter your freshman year with some requirements already met! In some instances, students with many APs can finish college on an accelerated schedule. This can be a definite time and money saver! Click here for more information from the school counseling office.